We are hiring for the 2016 season! Ideal candidates have a strong drive to be part of a close-knit team that brings healthy, fresh, non-certified organic vegetables to the Fort Collins community. A strong work ethic, ability to execute tasks efficiency and effectively, ability to think critically under pressure, ability to work in all weather conditions, and good physical fitness are imperative. The best farm crew members are self-starters that see themselves as an integral part of the success of the farm. They enjoy working in a fast paced atmosphere and are rewarded by a hard days work in the outdoors. They also drink strong coffee. Season extension: Planting plans, structure management. Preference will be given to those with production experience. Full time positions typically work 6am to 5pm mon-fri, with some flexibility for Wednesday or Saturday market shifts. 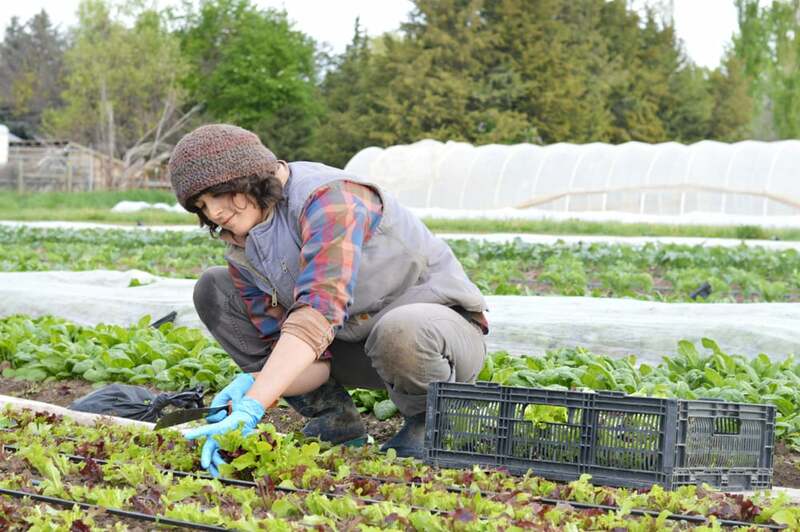 Farm hands receive a monthly stipend which varies depending on experience. There is potential for on farm housing depending on needs. If interested, please send a current resume along with a completed farm application to info@nativehillfarm.com. The ideal candidate has a passion for vegetables, enjoys working with people, has an eye for display and is detail oriented. Must be in good physical condition and available Saturday mornings and Wednesday evenings. Part time market manager typically works 5:30am-2pm Saturdays, 2-8pm Wednesdays with additional farm stand hours being flexible during the week. Compensation is hourly with opportunity to earn more based on sales performance. Other benefits incurred by choosing to intern at Native Hill include our location to Fort Collins and to mountain activities. We boast a fabulous culture of bikes and beer and for good reason. The farm is located just one mile from the nearest bike path and from there it is only a 10-15 minute ride into Old Town. Fort Collins is the self-proclaimed microbrewery capital of the U.S. If you can’t find a preferred locally brewed beverage here, you probably don’t like beer. The farm is located 15 minutes from the mouth of the Poudre River canyon, which has world class boating, excellent hiking trails, and great sport and trad climbing. It is also within a 10 minute drive to both State, County, and City parks that offer great bouldering, mountain biking, hiking and trail running. Just make sure you bring your sunscreen and your wide-brimmed hat as we have over 300 days of sunshine here!